Another week brings with it another ‘Week in Tech’! Let’s check out some of the top news from this past week! – With Verizon recently announcing that they were eliminating 2-year contracts, it left Sprint as one of the only major US carriers supporting 2-year contracts. That is until now, as just this past week Sprint officially announced that they are done with 2-year contracts as well. As such you will be able to lease a phone from Sprint where you pay a small fee (not exactly sure how small) per month for 24 months and then have the option continue paying the monthly lease rate, return the device or buyout the device. The only other option Sprint users will have for phones is to simply buyout the device at full price. I would assume that current members will be able to continue using the 2-year contract system if they please as it is that way with Verizon’s new plans. – Sprint also recently announced their new ‘iPhone Forever’ plan which will allow you to upgrade to the latest iPhone as soon as it comes out. This plan will cost you just $22 a month on top of your data plan, or $15/month with a special limited time offer, and currently allows you to get the 16GB iPhone 6. While this plan only lets you get the base model of the iPhone, I would think that there would be a way to upgrade at an additional cost. Lastly, while you can upgrade to the next iPhone as soon as it comes out, I am not sure whether this includes the ‘S’ line (5S, upcoming 6S, etc.) of iPhones. 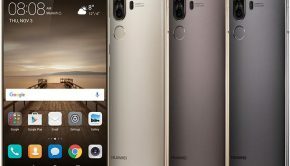 – A recent leak of the upcoming 5.7-inch Nexus smartphone by Huawei finally show us what this device could look like in better detail. 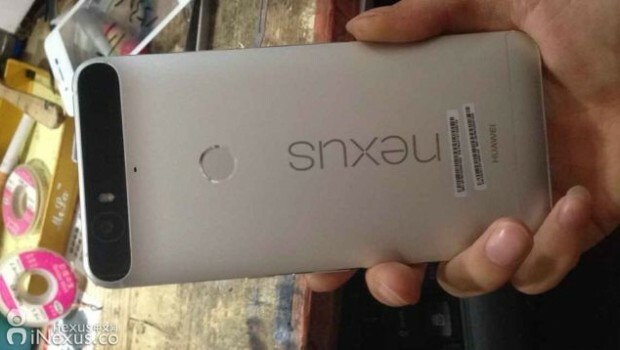 As you can see in the featured image above, this device features a type of camera hump we haven’t seen in some time and what is believed to be a fingerprint scanner on the back. Gizmodo and I question this odd design choice – could the camera involve depth sensing? 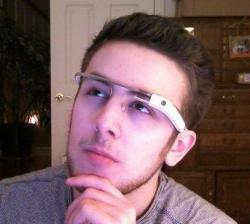 Or are they just trying to make it look like an old-school Droid Razr? – With the Moto X Play recently made available in the UK, many of us here in the US have been left disappointed knowing that this device would not be coming our way – but, it appears that the Moto X Play may be coming to the US through Verizon and will be called the Droid Maxx 2. Unfortunately, Phandroid was not given details about the specs of this Moto X Play look-a-like, but they would expect it to feature most of the same hardware specs as the Play. 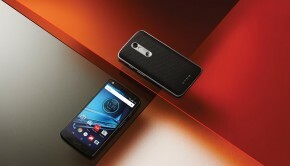 They were however able to find out that the Droid Maxx 2 will be just $300 off-contract. They were also told that the Moto X Style, while made available in the US as the Pure Edition, will also apparently be coming to Verizon as the Droid Turbo 2. While this is not a Pure Edition, it will be similar to the Style expect that it will have a POLED display (plastic OLED) and will come in at a high $600 off-contract. 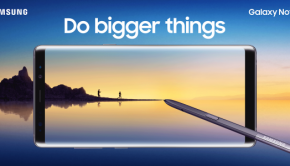 – It was expected that Samsung was going to announce that the Note 5 with come with a huge 4100mAh battery at their Unpacked event, but that turned out to be incorrect. Now, a new leak suggests that Samsung may fit that enormous battery into the Note 5’s rugged variant, the Galaxy Note 5 Active, which is expected to arrive in November. This device is said to have a IP68 rating, most likely a different design to make it waterproof, a 4100mAh battery and it is expected to only be available on AT&T. – Verizon announced they are still in the “process of evaluating” Samsung Pay support while AT&T, Sprint and T-Mobile have all pledged support. While this doesn’t mean Verizon won’t support it come September 28th, it just means that with this, and Verizon’s past of taking forever to approve mobile payment options, it may be delayed for some time. – In more mobile payment news, a leaked document from McDonald’s suggest that Android Pay will be released on August 26th. While this is great news, it seems a little skeptical as Google said Android Pay will arrive with Android Marshmallow and Google doesn’t have an Android M event scheduled this week. I guess we’ll find out on Wednesday! – Google released a pretty cool new tool this past week called Project Sunroof. This service, which is currently only available in San Francisco and Boston, helps homeowners determine whether it is worth it to install solar panels. It does so by calculating how much sun hits your roof and then factors in the roof orientation, trees and nearby buildings. You can then enter your typical electric bill and the tool will tell you your projected savings by using solar power. So if you live in one of those areas head on over to Project Sunroof now! – There has literally been a new Moto 360 2015 leak every week and this week is no different! This week images have been leaked of Motorola employees seen wearing the new smartwatch in public in their headquarter city of Chicago. These pictures confirm the leaks that the Moto 360 2015 would have a new integrated lug system, the button in the 2 o’clock position, and unfortunately the ‘flat tire’ display. Check out the source to see the pictures and with all these leaks we can assume it will be announced at IFA in Berlin which starts September 4th! – Last week I talked about how Google’s new Android Wear update was leaked with some great new features and just recently Google officially announced this new Wear update. This new update, which will be rolling out soon, will come with a bunch of new interactive watch faces from ‘Bits’ (which shows a clock surrounded by a bunch of different notifications and such) to an Under Armour face and the rumored ‘Together’ face. Additionally, this update will include integrated support for Google’s translate functionality. Check out the source for some cool gifs of these new watch faces! – A really cool gadget was released this past week by Google called the ‘OnHub’ router and is Google’s attempt to fix the complicated routers we have today. This device features 4GB ROM for updates, 13 antennas (six 2.4GHz, six 5GHz, and one to monitor congestion) arranged in a unique circular pattern, and it can provide WiFi speeds of up to 1900Mbps. Instead of the typical blinking lights, this router communicates with you via Bluetooth to an app where you can check the connection and change all sorts of things like prioritize certain devices for a better connection. This router cost $200 and is available for pre-order here right now! – With the release of the Note 5 and S6 Edge+, Samsung released an amazing promotion this past week dubbed the Ultimate Test Drive. For just $1, you can try one of these phones for 30 days with no obligations and it comes with its own activated SIM card! The catch is that you have to redeem it from an iPhone as this is Samsung’s attempt to convert Apple fans to their new devices. Unfortunately, Samsung is currently out of stock right now due to how awesome this is, but go here and keep refreshing to see if they get more in stock! – You can currently grab the ZeroLemon SolarJuice 20,000mAh external battery pack for just $50 over on StackSocial! This battery pack is pretty cool as it has two USB ports (2.1A and 1A), can be recharged through microUSB or the solar panel on the top, and it packs an enormous amount of juice. This deal is only good for another day, so head on over to StackSocial now! – Verizon is pushing an OTA update to the Samsung Galaxy S4 bringing with it the ‘Stagefright’ fix. In addition to that, there are a bunch of software fixes for miscellaneous issues. Head on over to AndroidPolice to see the full changelog! 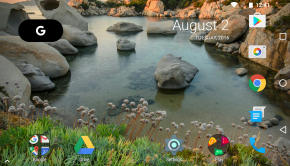 – Verizon also started pushing an Android 5.1.1 update to the Nexus 7 this past week. This update comes with all the joys of 5.1.1, such as more Material Design, Battery Saver,etc., and also comes with the ‘Stagefright’ Fix. Head on over to Verizon.com to see more details! – Sprint put out an update this past week for the Galaxy S6 and S6 Edge bringing with it some unexpected features. This update will include Samsung Pay (a month before its release), live broadcasting via Yahoo, high quality audio, some UI updates and bug fixes. Hit up AndroidCentral to see the full changelogs!